MARA CARLSON is a Tango dance artist, master instructor and choreographer with more than 20 years professional experience. She received her MA and BFA in Dance and Theater Arts from the University of Arizona. Her precocity for Argentine Tango was distinguished by a Met Corporation fellowship, allowing her to study its music and evolution, and excel in its form in Buenos Aires, the city of its birth. Her professional achievements include a performance with world-renowned tanguero Eduardo Capussi in concert with the Pablo Ziegler Orchestra. 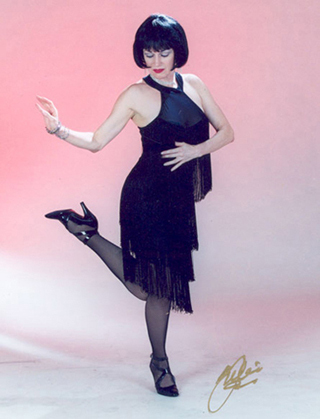 She performed at La Belle Epoque in New York City, toured as principal dancer in Tango, Love, and Passion, and danced on the internationally televised program Sabado Gigante. To date, Mara’s singular ability and authenticity have won her the respect of many luminaries in the world of Tango.